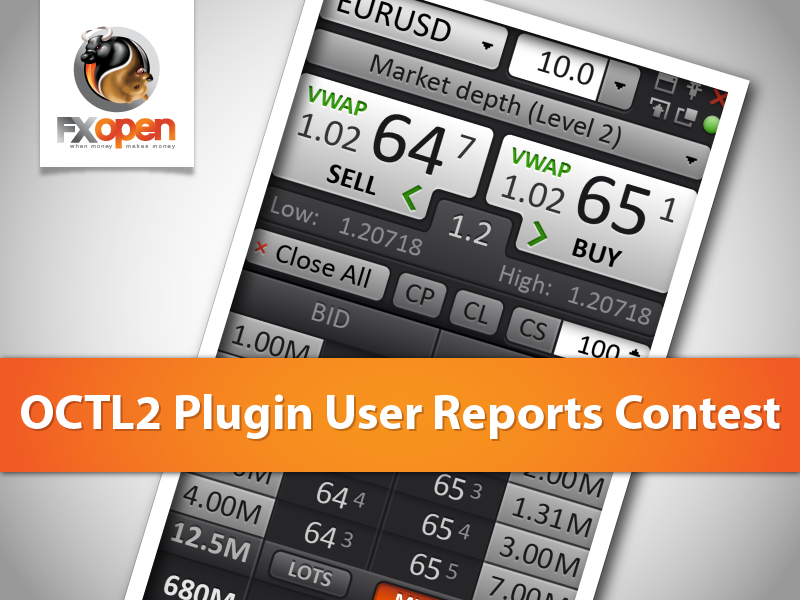 FXOpen launches OneClickTradingLevel2 plugin user reports contest. OneClickTradingLevel2 plugin (OCTL2) is a software product developed by FXOpen team to facilitate the process of Forex trading via the MT4 platform. This instrument helps execute an order at the best available price with just a single click. The OTCL2 plugin was released late in winter 2013. It has been updated a few times since then and is now fully tested and improved. To participate in the contest you just need to provide a description of the tool practical application. You are welcomed to provide some details on the achievement you made or plan to make with the help of the plugin, as well as speculate on the tool functionality and its most useful features. You can also suggest alternative options to improve the OCTL2 operation. Authors of original reports (an entertaining comic strip, video or infographics) have more chances to win and get $500 for the 1st place. The 2nd and 3rd prize-takers will receive $300 and $100, respectively. Based on the forum voting results, $100 will also go to the holder of the People’s Choice Award. The competition will last till July 12. For further details on the contest rules and conditions, please, visit FXOpen Forum.